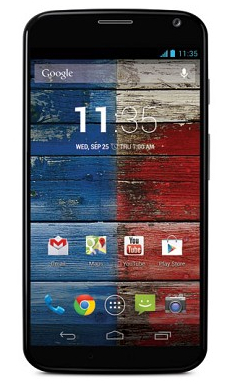 The Moto X has caused a pretty big buzz since its launch just a few days ago — some good buzz, some bad, but all interesting. Putting aside the controversial aspects for a moment, I’d like to focus on something that Robert Scoble thinks of as, “the freaky line” and the “always on” connection to Google Now. While I find Robert’s article an interesting read, I don’t agree that the Moto X is a game changer. I think the game changer is what happens next. As I write this article, I can see more and more why Robert, Mike Elgin, and others are excited by the possibilities of what the Moto X brings to the table; for me however, it doesn’t go far enough to really change the game. I have written an article about it before (you can find it here) I see touchless voice activation is the second step to what I believe is the future of mobile. Both Siri and Google Now have the same inherent flaw. You have to open them up to get them to work. Let’s take a trip through our imagination if we can. Oh look there’s naked Megan Fox riding on the back of an actual giant Fox. Imagine working on your amazing Transformer tablet from Asus and you want to listen to music so you flick up from the home button, and instead of the Google Now App, the familiar bong of Google Now sounds and you say “Play me some music.” It then just plays. No opening an App for the command, then that App opening the Google Play Music for you to choose the music. It just selects your most popular playlist and plays it on random. Isn’t that what you think of when you think Star Trek ‘Computer’? The most important thing is for it to not interrupt my flow of work. As you can see, this article was written pre-Moto X but I hope you can see where this phone slots into my timeline. We no longer need to “flick up from the bottom”, instead we simply say, “ok Google” and the magic occurs independently from what is happening on the screen. My final thoughts are this: The Moto X seems to me an averagely adequate phone that is hampered by Motorola’s love for carriers and their somewhat xenophobic nature. It is however the next big step in the evolution of personal assistant that we all want to have. The Moto X’s greatest asset is Google Now. Google Now is one of the best, most powerful and future-feeling pieces of software that I have ever used. In my mind’s eye, I can see a time when it becomes the focus of our mobile lives. Whether through Glass, phone or even watch, Google Now has the promise of truly defining how we interact with knowledge. Oh, and if anyone knows how to hack it so I can say “Hello Computer,” I will give them one million JBD (James Bricknell Dollars)!